Leading paediatrician and infectious diseases specialist Professor Jonathan Carapetis AM is Director of the Telethon Kids Institute. Professor Carapetis holds separate qualifications as a medical practitioner (MBBS), specialist paediatrician (FRACP Paediatrics), specialist infectious diseases physician (FRACP Infect Dis), and specialist public health physician (FAFPHM), as well as a PhD. In addition, he is a fellow to the Australian Academy of Health and Medical Sciences (FAAHMS). He is recognised as a leading mind in the Australian health field, with particular expertise in Indigenous child health. 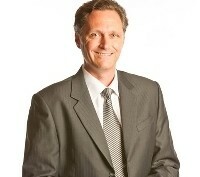 From 2006 until 2012 Professor Carapetis was the Director of the Menzies School of Health Research in Darwin, and prior to that he was Director of the Centre for International Child Health at the University of Melbourne and Theme Director at the Murdoch Children’s Research Institute in Melbourne. Professor Carapetis has made an international contribution and commitment to the reduction of rheumatic heart disease. While rare in most developed countries, Australia has one of the highest rates of the disease in the world due to its prevalence within Aboriginal and Torres Strait Islander communities, particularly in Northern Australia. He is an infectious diseases’ consultant physician at the Perth Children’s Hospital and is a Professor at the University of Western Australia.